Tetsuma Esaki, the newly-appointed minister in charge of Okinawa economic promotion and territorial issues, is known as a cheerful, friendly politician. But the usual genial demeanor of the Lower House member elected from Aichi Prefecture took a more somber turn during a joint interview with The Japan Times and other media outlets on Wednesday. He said he has done some “soul-searching” over past remarks he made that have caused public controversy, including his proposal to revise the Status of Forces Agreement governing the U.S. military presence in Japan. On Aug. 8, Esaki abruptly suggested that the government should consider revising the SOFA agreement with the United States following the crash of an Osprey military aircraft in Australia. The aircraft was based at U.S. Marine Corps Air Station Futenma in Ginowan, Okinawa Prefecture. The accident fueled anger among Okinawan residents who oppose U.S. bases on the island and the deployment of the aircraft, which they say pose safety risks to residents in the prefecture. Any revision of SOFA, however, is politically sensitive and Esaki’s remark went against Tokyo’s official policy. Esaki later withdrew the comment. 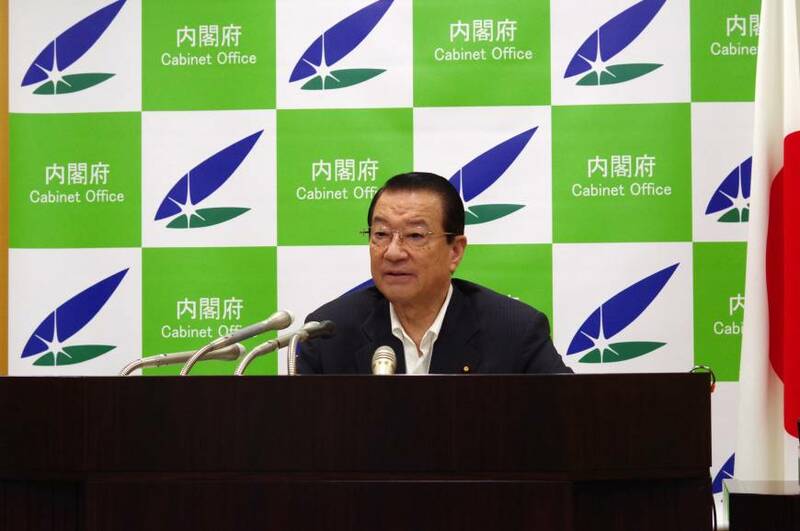 During the interview, Esaki touched on another remark he made on Aug. 5 where he said he would just “read aloud” text prepared by bureaucrats rather than speaking his own words during Diet sessions because he was not familiar with the policy matters he was tasked to deal with. The remark was highly criticized. “That was an utterly private meeting” with his supporters, Esaki said of the circumstance under which he made the remarks. “I said it because I was careless. It was inappropriate,” he said. Esaki is also in charge of ocean-related government policy. Asked about priorities for promoting the Okinawan economy, Esaki said he will focus on boosting tourism by building a new runway at the Naha Airport. The runway would also help Okinawa become an international logistics center, he said. Esaki also said the central government will continue addressing child poverty in Okinawa, a priority of his predecessor, Aiko Shimajiri. 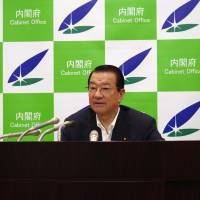 The Cabinet Office has requested a ¥1.2 billion budget for the next fiscal year to cope with child poverty in the island prefecture, Esaki pointed out. Those measures include hiring workers to help eligible households find social welfare assistance, Esaki said. “I want to end the cycle of poverty in Okinawa and help promote self-reliant development there,” Esaki said.